FMI sensors are useful in a wide variety of applications for research, medical services, industry and more. With our combined years of experience in oxygen and pH sensing, we’ve put together a complete repository of application notes to assist you in finding the sensor best suited to your needs. Can’t find what you’re looking for? Contact us here for more information. 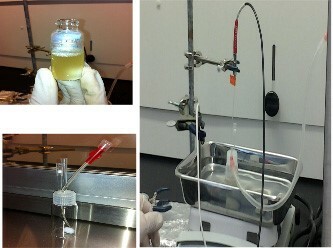 Dissolved Oxygen (DO) is a key parameter that affects the healthy growth of fishes and shrimps in aquaculture. So, online monitoring the DO content in aquatic environments is very important. Furthermore, for efficient operation of wastewater treatment plant, continuous and reliable monitoring of dissolved oxygen is critical. FMI dissolved oxygen meter (DOPO2) can be used with various AP series sensor products to monitor dissolved oxygen in different environmental applications. Fiber optic sensing is a relatively new dimension in the field of sensing and the performance analysis of fiber optic sensors in a biological environment still requires of a lot of intensive research, for the most part. 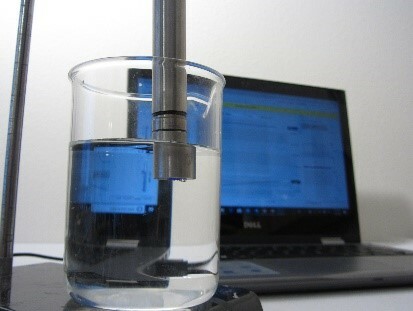 Oxygen Sensor in Bioreactor: Our oxygen sensors have been used by a research group from the University of South Florida to monitor dissolved oxygen of a culture fluid of E.coli bacteria during the growth process. The compatibility, and stability of our HCR series sensors when immersed in different solvents such as Acetone, Toluene and Benzene are tested and demonstrated here. In Pipelines: Protecting a pressurized gas pipeline system from leaks and corrosion and minimizing downtime are among the most important responsibilities that oil and gas companies have. If oxygen (O2) is present in a sample gas, it means that there is a leak in the pressurized pipeline system. And if this leak remains undetected, the problem can worsen and continue to impact the operational flow efficiency of the pipeline. Additionally, if the gas sample inside the pipeline contains hydrogen sulfide (H2S) and carbon dioxide (CO2), all 3 gases can combine and form a very corrosive and destructive mixture that can deteriorate the wall thickness from the inside out. Unless treated, this corrosion will continue to spread, create more damage and shorten the pipeline’s life. Eventually, the damage reaches a point where there is a significant risk of a rupture or potential explosion. In Oil Refinery: Continuous combustible and toxic gas monitoring is a critical facet of operation within refineries. There are many processes and special production units in a refinery that create specific safety hazards. · Jet fuel is a conventional aviation fuel, based on either an unleaded kerosene (Jet A-1), or a naphtha-kerosene blend (Jet B). Similar to diesel fuel, it can be used in either compression ignition engines or turbine engines. Kerosene-based fuel has a much higher flash point than gasoline-based fuel, meaning that it requires significantly higher temperature to ignite. The compatibility, sensitivity, and stability of the HCR oxygen sensor when immersed in kerosene are demonstrated. Kerosene is used as a representative media because it contains both aromatic and aliphatic hydrocarbons. Some of the critical properties of HCR oxygen sensor are determined including long-term stability in hydrocarbon-based fuel, thermal cycling stability, response rate and response to oxygen variation in fuel. FMI oxygen meter (DOPO2) can be used with various AP series patches to non-invasively monitor dissolved oxygen in the food and beverage industry. · Beverages: water is one of the main ingredients of any beverages. FMI dissolved oxygen sensors can be used for aeration of beverages. 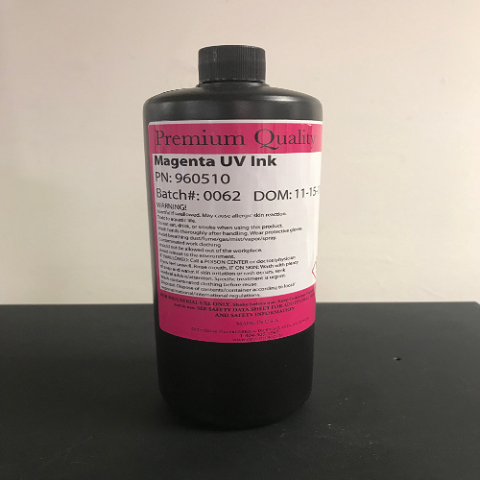 The UV-curable ink is cured and adhered to the media or substrate by UV radiation. The print is already dried when it comes out of the printer, allowing a short delivery request to be met. Our HCR sensors have been tested for compatibility and stability in UV curable inks. You can read more about it here. Modified Atmosphere Packaging is also known as gas flushing or reduced oxygen packaging. It enables food packaging to provide an extended shelf life without requiring the addition of chemical preservatives or stabilizer. FMI oxygen sensors can be used to non-destructively monitor the oxygen level in commercially packed pre-cooked MAP foods.